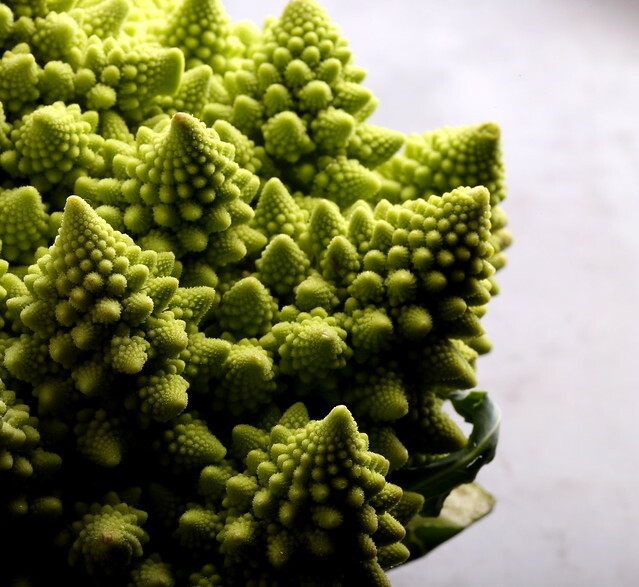 When I came across this beautiful romanesco at Whole Foods last week, I picked it up and kind of got lost in its pretty fractal patterns. 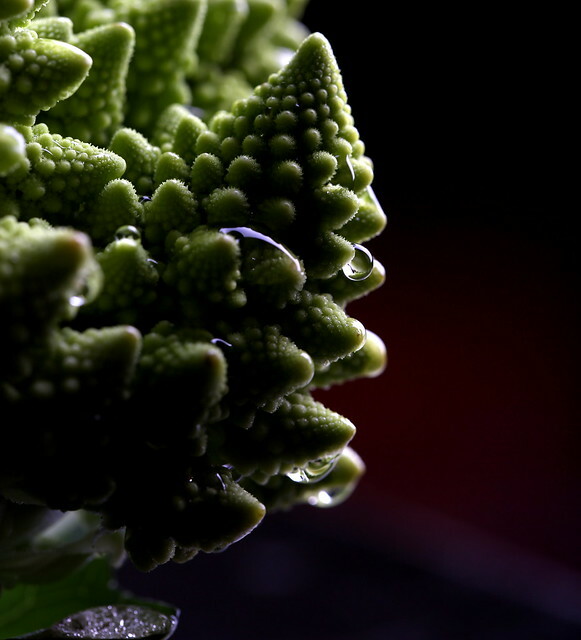 On this blog, I always try to make food look pretty after prep but, in this case, the romanesco is prettiest when left unprepped. All photos here and everywhere else on the blog, have been taken by my wonderfully talented husband. 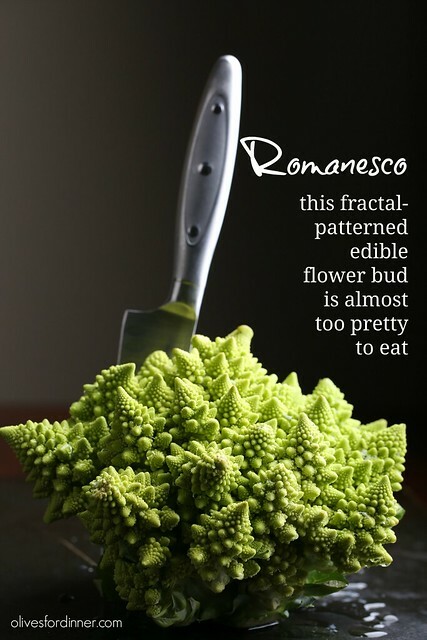 Slice off the base of the romanesco, and brace yourself for ruining this beautiful piece of produce in front of you. Disassemble it further just like you would for broccoli or cauliflower. 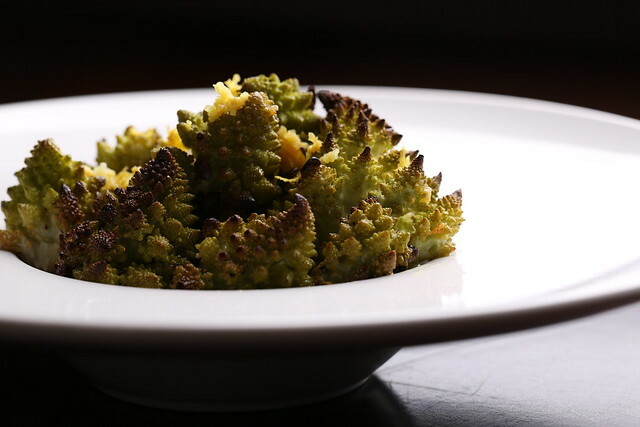 Place a tablespoon of olive oil into a small cast iron pan, swirl to coat, then place the romanesco pieces inside, and drizzle with the rest of the olive oil and salt and pepper. Roast for about 20 minutes, or until the tips start to turn slightly crisp and brown. Remove, sprinkle with the garlic and roast for about 5 minutes more. Sprinkle the lemon zest into the pan and toss to coat. Allow to cool in the pan for about 10 minutes before serving. Ohhhh my goodness! 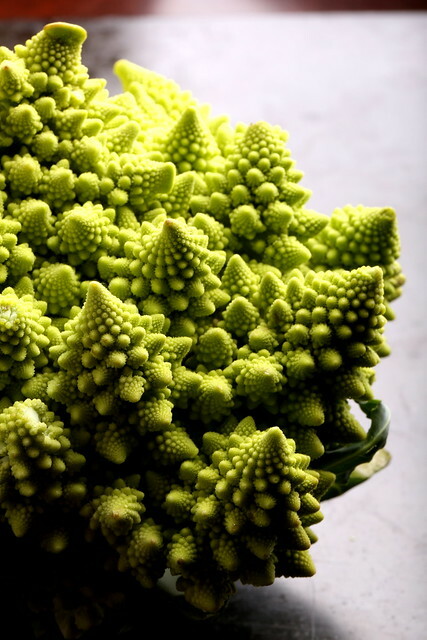 What a stunningly gorgeous specimen of a vegetable! I have never seen this item before and it is doubtful I can find it here on island, but wow!!! 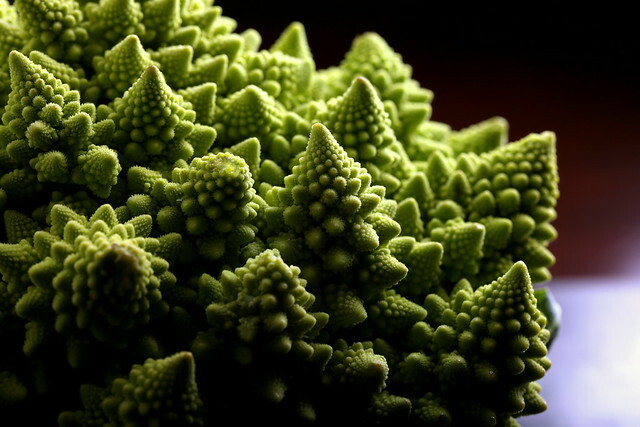 What I would give to photograph this subject as I love macro photography! Also, can you describe what it tastes like? I am so intrigued! 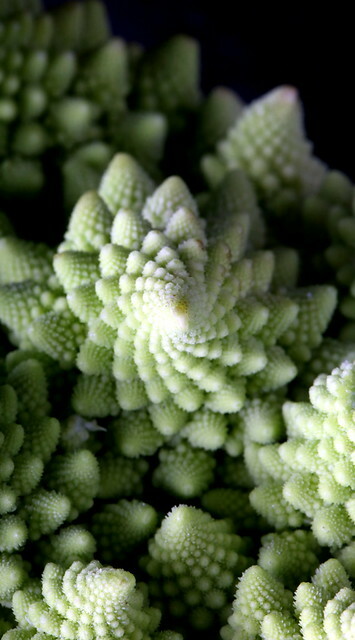 I had only seen pictures of it when we lived in the Northeast, but I've seen it in several Whole Foods here in the South Bay recently. Jeff loved to photograph it! 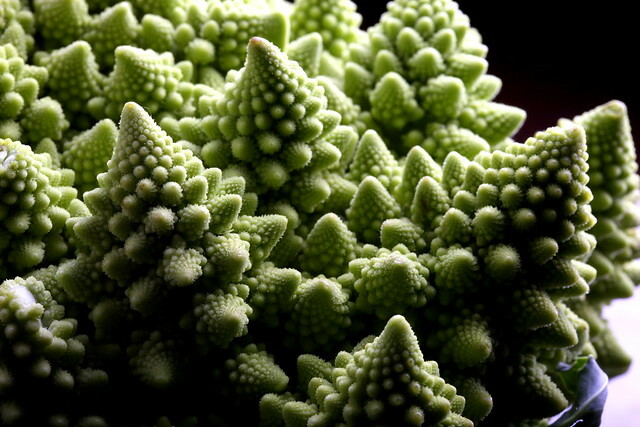 To me, it tastes like a cross between a cauliflower and broccoli. Definitely hated hacking it up, because it was prettier to look at than to actually eat! I wish I could send you one! Lololol I think I used some of these in centerpieces at my wedding. Cracking up at myself for not knowing I should keep and cook them. Sounds amazing! What a cool idea for a wedding centerpiece, I love it!